We all have indulgences that, despite how damaging to our goals they may be, we can’t shake. Being healthy isn’t a matter of cutting all joy from your life (even though our healthy food is delicious and makes me oh so happy! ); being healthy is about balancing great daily habits with the occasional indulgence. Tonight we are going to see Neighbors 2. Going to the movie theater is one of our favorite past times. We go at least 2-3 times a month. Of course, a movie is not a movie without the POPCORN!!!!! I wait all day to dive into the literal popcorn bucket. No, popcorn is not really in our goal plan, but when you have something you really enjoy, you can make it work. Here is an example day to help you fit 600 calories of your indulgence in! Firstly, I lasted until 2pm today on just 3 ounces of fruit and coffee. Staying busy is once again the key to success. Like I said, we love popcorn. I waited, hungrily, all day to dig into the popcorn bucket. I tracked a large AMC popcorn with NO BUTTER. For the love of [whatever God or person you would like to insert here] do not ever get butter added onto your popcorn. There is plenty of butter flavor already on the popcorn and added butter just packs on needless calories. We had a hard time finding the bucket on MyFitnessPal, but I guess it is not more than two larges. I also try to split it 40/60 with Preston. My best tip is to take one kernel at a time and savor that. Try not to shovel it in before the movie even starts. No matter what it is that you love, you can make it fit into your day. 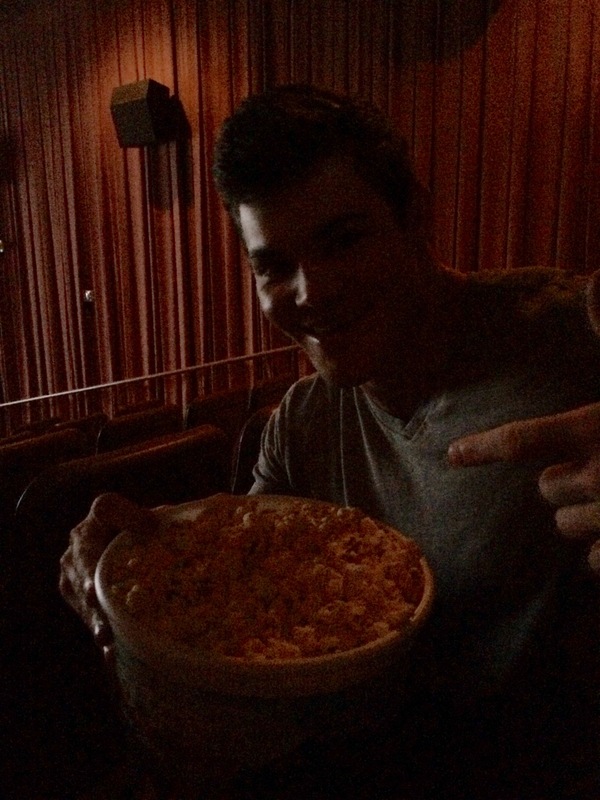 I am still under 1,100 calories even with a gallon of popcorn. Figure out how much your indulgence will cost, and then find a way to balance that. Remember that you can’t outrun a bad diet, so try to rely on good food choices instead of hours at the gym to make up for the treat.